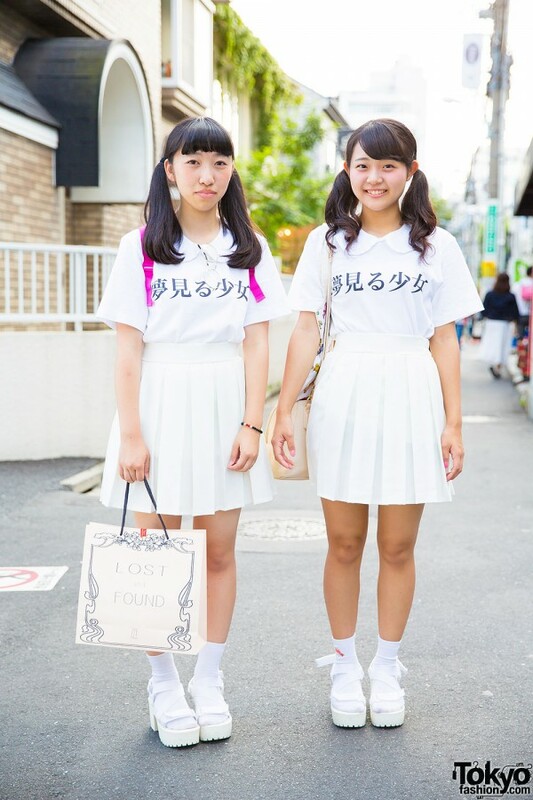 We met these two friendly students – in matching outfits (pair look) and twin tails – on the street in Harajuku. 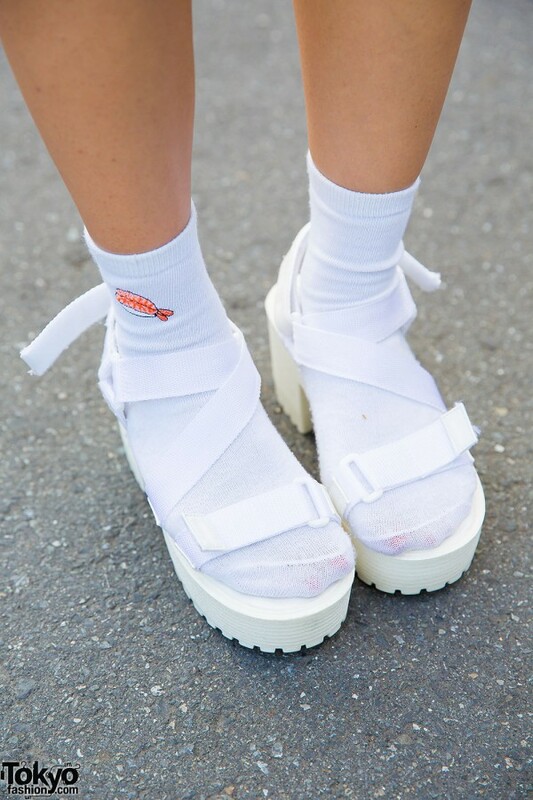 Their peter pan collar t-shirts are Uniqlo originals (with the text “夢見る少女” – “Yume Miru Shoujo” or “dreamer girl”), their skirts are from Miss Sumey, and they’re wearing WEGO platform sandals with sushi socks. Pictured to the right is 18-year-old Yuri. 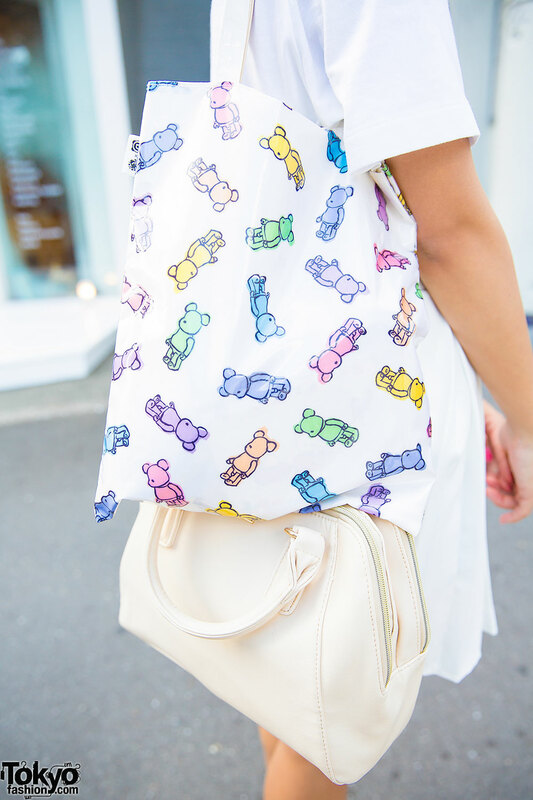 Her Bearbrick tote bag is from Earth Music & Ecology. 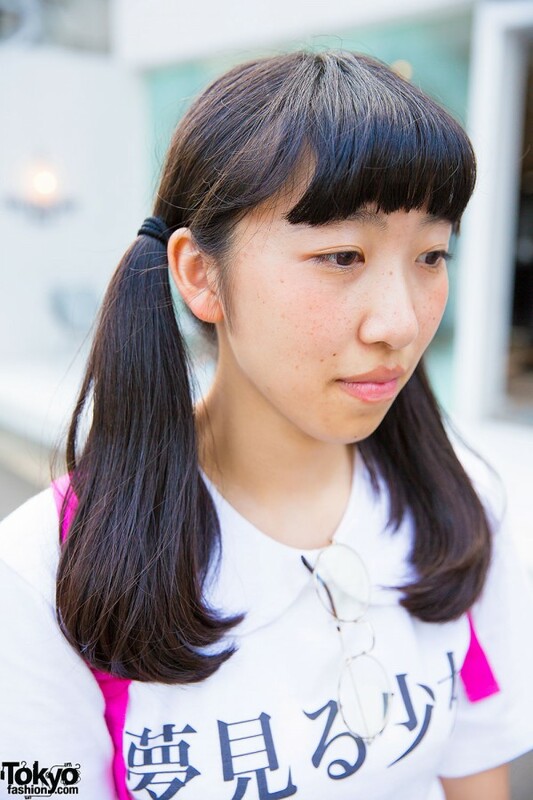 She is a fan of Arashi and you can find her on Twitter. Zakico is the one pictured to the left. 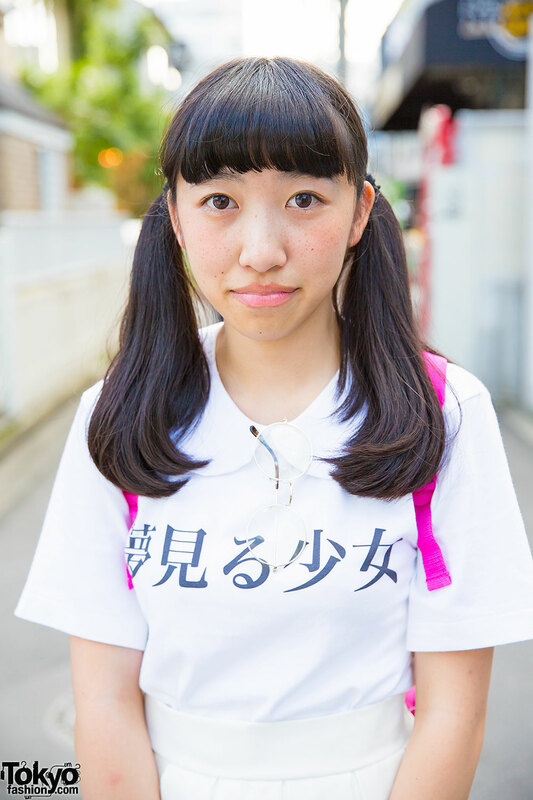 She is 17 and she told us she’s a Kis-My-Ft2 fan. Her backpack is from Dora & Boots. She is also active on Twitter.